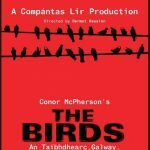 Rehearsals are at an advanced stage for this year’s production by Compántas Lir which is Poor Beast in the Rain by Irish author Billy Roche, produced by veteran and widely acclaimed producer Mike Hession. 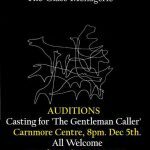 Taking part in the play this year making her debut with Compantas is Bernadette Prendergast whose voice is well known on Galway Bay FM. Also making a comeback after a few years break is Eddie Fitzgerald as well as old reliables Philip Cribbin, Malachy Noone and also making a comeback is Liz Hession. With such a formidable team we are expecting great things and we wish everybody concerned front and back stage the best of luck on the Festival Circuit. It starts with our first visit to Castle Island, Co. Kerry on March 6th, Glenamaddy 11th March, Doonbeg 13th March and Claremorris on the 14th March. 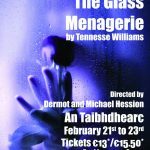 Our performance in Claregalway will be on the 16th March. We finish off the Festival circuit in Holycross on the 17th March. A preview will take place before the festivals but the venue is as yet undecided. Compántas Lir would like to invite new members to join our drama group. Perhaps with all the new people moving into our parish there is hidden talent out there—you don’t have to feel that you have to appear on stage. We also need backstage people—anyone interested, just approach any member of the Group.